I had a non-displaced fracture at the base of my fifth metatarsal The doctor sent me to a orthotics specialist to get a camwalker boot fitted. It became apparent not long after wearing the boot was causing more pain and discomfort then I was already experiencing from my injury . My foot was badly bruised and swollen as well from injury . I thought there had to be something better than what the doctor or hospital would give you did my research and came across Better Braces and found the suitable boot for my injury , ordered it and it arrived next day watched the You Tube how to correctly put it on and it immediately was apparent that this boot was vastly superior to my previous boot the pre inflated front panels And the two side adjustable air cells ( which I just periodically during the day depending if I'm walking all resting ) made this boot extremely comfortable I could not believe the difference lighter and more shock absorbant . 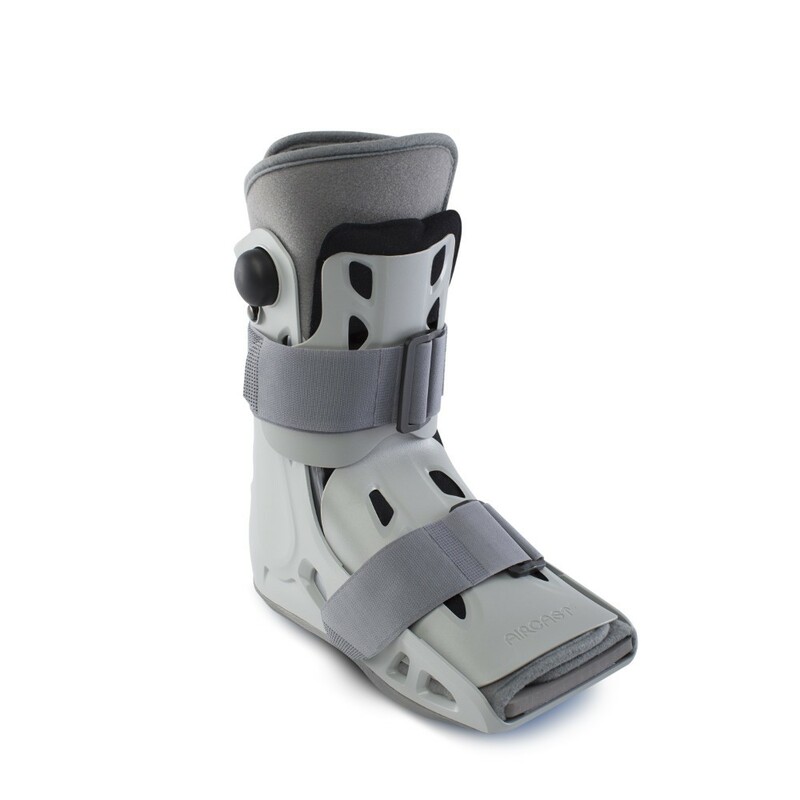 It honestly felt like my foot was surrounded by a soft cloud of air and really secure, unlike the old one the support to my foot and ankle With the new Aircast Airselect boot was evenly distributed the pain in wearing the boot now was gone . The old one the straps were making my bruising worse . I sit here now writing this still with my boot on in my third week I can tell that progress is getting better than if I had stuck with old boot . One last point if there is any medical professional reading this and you get a patient with a similar injury this is the boot you should be recommending anything else's in an injustice .